CG Says: The 2018 Mini Copper Hardtop is relatively unchanged. Rearview camera and rear parking sensors are now standard. Windshield wiper and turn signal stalks no long return to center, but stay in position when activated. Also, Apple CarPlay capability is now available. Mini Cooper Hardtops are front-wheel drive, subcompact hatchbacks available in two- and four-door versions. 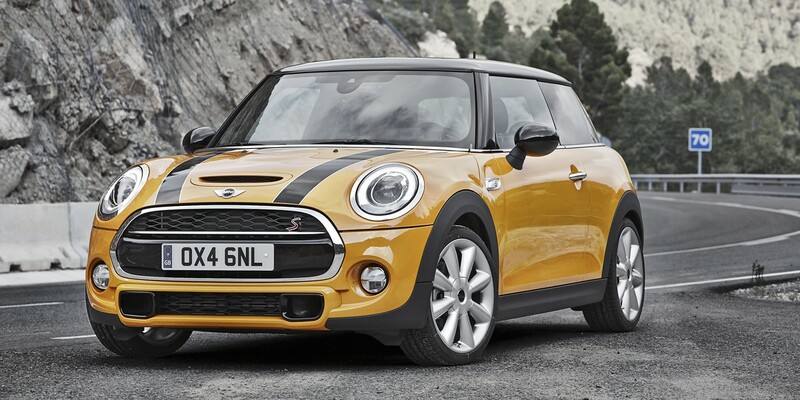 Because of the Mini’s handling and performance we include it our Sporty/Performance Car group. Base Coopers have a 134-horsepower turbocharged 3-cylinder engine; the sporty S model gets a 189-horsepower turbocharged 2.0-liter 4-cylinder (which is hopped up to 228 hp in the John Cooper Works model). Both engines offer the choice of either a six-speed manual or six-speed automatic transmission. A broad range of optional technology features is available, including some rare-for-the-class features such as a self-parking system, heads-up display, and adaptive cruise control. The 2014 revamp brought slightly bigger dimensions that give this third-generation Mini Cooper a bit more space inside than its predecessor, but the car’s quirky personality and nimble, caffeinated driving character carry over intact. The 4-Door offers the passenger- and cargo versatility of two extra doors, but its stingy door openings make for tricky entry and exit. Mini Coopers are a bit pricey compared to some of the subcompact hatchbacks they’re often shopped against, especially when the optional equipment is added. 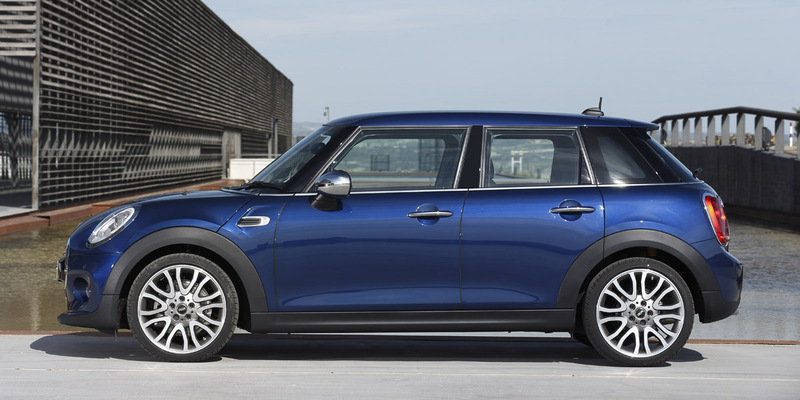 However, if you want a little enthusiast attitude in your commuter hatchback–along with the ability to personalize it to your tastes–a Mini Cooper is worth checking out.